While the recent league tables for secondary schools show a reduction in ‘underperforming schools’ they also show significant increases in numbers taking Ebacc GCSEs. •23% of pupils in state-funded schools achieved the EBacc this year, up from 16% last year. The proportion of pupils in sponsored academies taking the EBacc has doubled since last year to 22%. Across all local authority mainstream schools, 34% of pupils entered the EBacc, up 13 percentage points. Education Secretary Michael Gove wasted little time in tying the two together and linking them to the ‘success’ of the academies programme (www.gov.uk/government/news/250000-fewer-pupils-in-underperforming-secondary-schools). For Gove, opportunist as ever, the increased success in Ebacc subjects is ‘a credit to the professionalism and hard work of teachers’ ; but permanently aware and fearful of Ofsted’s expectations, individual schools, like individual teachers shackled by their own performance management targets, have little choice but to fall in line behind these new curriculum requirements. In reality, Gove’s examination reforms have little to do with raising standards or enabling the UK economy to compete more effectively. Rather than helping young people “find a good job or go on to university”, imposing Ebacc subjects and changing the way in which examinations are assessed are designed to reduce success rates and lower aspirations, necessary in an economy where employment opportunities for young people are declining and where attending university increasingly becomes more expensive (follow link to download below). Despite the efforts of teachers pass rates for the Ebacc subjects – and performances based on eight accredited subjects are unlikely to reach those achieved previously. The embedding of Ebacc subjects and assessment changes reduce teacher autonomy over the curriculum and continue to restrict learning to being a ‘gradgrind’ activity –part of a great reversal of comprehensive education. 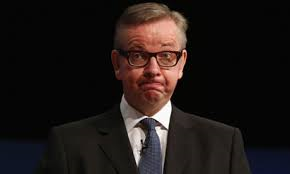 But teachers collectively, their subject associations and teacher unions in particular however, still have the power to challenge Gove on areas like the curriculum – an area where he is probably at his weakest. Next Post Michael Gove’s Stratford Speech.